New RF (Radio Frequency) probe for SMA and direct PCB contact. - Testprobes, Testfixtures en Testsystemen. New RF (Radio Frequency) probe for SMA and direct PCB contact. High Frequency probe for PCBA test. The ECT CSP-30TS-011 has been designed to perfectly mate with PCBA test pads and vias. Because there is a high demand for reliable, high performance and cost-efficient Radio Frequency (RF) probe solutions in the PCBA test market, ECT launched these new probes to support high speed, high volume testing. Everett Charles Technologies (ECT) recently added the CSP-30TS-011 to its industry-proven portfolio of high frequency probes for the PCBA test market. This next generation coaxial probe provides instrumentation-quality interface for broadband RF measurements exceeding 20GHz, delivering superior performance while seamlessly mating with pads, vias, and other board features. The CSP-30TS-011 RF probe combines several innovative features to provide a truly reliable and cost-effective testing solution. The CSP-30TS-011 is compatible with other ECT ICT/FT probes and features an open architecture format that can be configured with up to 4 easy-to-replace ground probes. 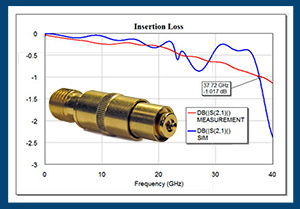 With an insertion loss (S21) in excess of 20 GHz @ -1dB and a consistent impedance of 50 Ohm, the CSP-30TS-011 offers outstanding signal integrity and measurement capability. 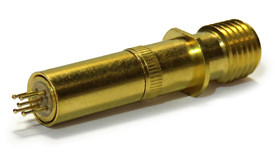 The CSP-30TS-011 provides spring-loaded compliance for both the center signal probe and the outer ground probes, while the knurl housing feature allows for easy and reliable press fit mounting. The ECT CSP-30ES-013 probe brings performance and ease-of-use to the next level. The CSP-30ES-013 radio frequency probe mates to standard SMA connectors and combines proven RF performance with ease-of-use to ensure accurate and reliable testing. The CSP-30ES-013 coaxial probe provides an instrumentation-quality interface for broadband RF measurements in excess of 20 GHz, providing a cost-efficient solution for high volume board testing. With the addition of the CSP-30ES-013 high performance radio frequency probe, ECT expands its industry-proven high speed test interface portfolio. The CSP-30ES-013 offers outstanding signal integrity and is capable of bandwidth measurements in excess of 20 GHz @ -1dB. With the CSP-30ES-013 RF probe, high frequency and functional tests can be performed in both high volume testing and engineering lab environments. Accurate small signal and RF power (50 Watts) measurements provide consistent and repeatable results. The CSP-30ES-013 ensures a consistent impedance of 50 Ohm. The CSP-30ES-013 provides spring-loaded compliance for both the center signal probe and outer housing that provides ground contact. The articulated contact allows for targeting errors. The CSP-30ES-013 features a rugged design for inline applications and an easy to replace center conductor probe (SPL-30E-030). The knurl housing feature ensures easy and reliable press fit mounting. If you want more information just visit our contact page or fill in the form below so we can get in contact with you as soon as possible.